SERVING THE ENTIRE UINTAH BASIN! CLICK HERE TO VIEW OUR BROCHURE – coming soon! 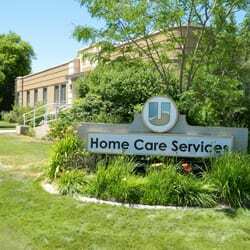 Welcome to Uintah Basin Healthcare Home Care Services. We welcome the opportunity to assist you and/or your loved ones. Home Care Services staff is available 24 hours a day, seven days a week. We offer a staff of nurses, Physical Therapists, Occupational Therapists, Speech Therapists, volunteers, homemakers, a social worker and a chaplain to provide the comprehensive care that you need. We want you to be fully satisfied with your home care. Should you have a question or concern, please call the HCS Manager at (435) 722-2418. Care can be offered to all age groups from the very young to the very old. With the support of a loving family and services from our agency, we can offer an alternative to a nursing home for the aged, institutionalization for the handicapped, or a rehabilitation center for post-surgery and hospitalized patients. Generally, home care is appropriate whenever a person prefers to stay at home, but needs ongoing care that cannot effectively be provided by family and friends. Hospice care provides medical, psychological, emotional, and spiritual care to patients with terminal illness, as well as to their family. Hospice can help a patient remain at home in a supportive environment with quality medical care to manage pain and symptoms. The hospice team will develop a care plan to meet the needs of the patient and the family. We offer rental, sales, and services for home care service needs. Visit our store in Roosevelt or call to schedule a consult for delivery needs. We strive to help our patients feel secure and comfortable in their home. Our staff is trained in Respiratory therapy, customer service, oxygen therapy, positive airway management, and sleep technology. Our goal is to always provide the highest quality of care. Our team is formally trained through the Board of Registered Polysomnograpy Technology to help optimize respiratory and sleep management in the home. Specializing in mask fitting, pressure management, oxygenation and equipment set-up. Please contact one of our Registered Sleep Technologists to inquire about any homecare needs.